Get out of town with these interesting Perth side-trips: Rockingham Beach (in Rockingham), Fremantle (Fremantle Prison & South Beach Recreation Reserve) and Caversham Wildlife Park (in Whiteman). Next up on the itinerary: admire the natural beauty at Kings Park & Botanic Garden, kick back and relax at Scarborough Beach, stroll through Cottesloe Beach, and admire nature's wide array of creatures at Perth Zoo. For more things to do, ratings, and other tourist information, you can read our Perth online attractions planner . Manchester, UK to Perth is an approximately 23-hour flight. You'll lose 8 hours traveling from Manchester to Perth due to the time zone difference. Traveling from Manchester in November, you will find days in Perth are warmer (33°C), and nights are somewhat warmer (15°C). Cap off your sightseeing on the 17th (Sun) early enough to travel to Sydney. Spend the 24th (Sun) exploring nature at Sydney Harbour National Park. There's much more to do: catch a live performance at Sydney Opera House, snap pictures at Sydney Harbour Bridge, kick back and relax at Coogee Beach, and appreciate the extensive heritage of The Rocks. To find other places to visit, where to stay, reviews, and tourist information, go to the Sydney trip itinerary planner . You can fly from Perth to Sydney in 7.5 hours. Other options are to drive; or do a combination of train and bus. The time zone difference moving from Australian Western Standard Time (AWST) to Australian Eastern Standard Time (New South Wales) (AEST) is 2 hours. Expect little chillier weather when traveling from Perth in November: highs in Sydney hover around 29°C, while lows dip to 19°C. Wrap up your sightseeing on the 24th (Sun) to allow time to travel to Gold Coast. Take a break from Gold Coast with a short trip to Moffat Beach in Caloundra, about 1h 35 min away. 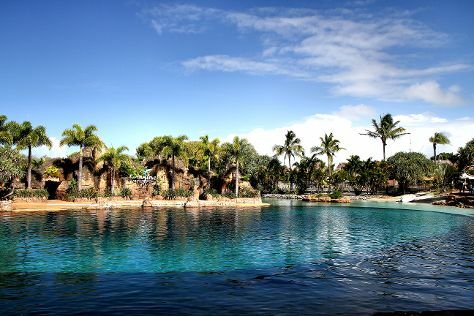 There's lots more to do: try out the rides at Sea World Theme Park, cruise along Captain Cook Highway, explore the striking landscape of Burleigh Head National Park, and cool off at Dreamworld. To see ratings, more things to do, photos, and tourist information, go to the Gold Coast online driving holiday planner . Traveling by flight from Sydney to Gold Coast takes 3.5 hours. Alternatively, you can do a combination of flight and train; or drive. In November, plan for daily highs up to 30°C, and evening lows to 20°C. Wrap up your sightseeing by early afternoon on the 30th (Sat) to allow enough time to travel back home.